I am writing to thank you for your editorial on climate change. I understand that you're being bombarded by the forces of ignorance, but as a climate scientist, I can assure you that your views of the science are spot on. Keep up the good work, and don't be intimidated by the screaming from those for whom politics matters more than science. Readers who may be confused about the causes of climate change might want to read the Nongovernmental International Panel on Climate Change (NIPCC) summary report, "Nature, Not Human Activity, Rules the Climate" (www.sepp.org/publications/NIPCC_final.pdf). The title tells the story. . . Many chemists are skeptical about the science of global warming because it doesn't fit well with the frame of their chemistry mind-set. An example is the letter by Thomas E. D'Ambra in which he asks, "How many kilocalories of infrared energy can a ton of carbon dioxide absorb?" (C&EN, July 27, page 6). The question implies that the amount of carbon dioxide in the atmosphere may be insufficient to cause a change in the trapping (the greenhouse effect) of the outgoing energy by Earth's thermoradiation. I encountered questions from professional chemists similar to this while giving presentations on global warming, and I was initially unable to come up with a satisfying answer. The basis of the question is legitimate: CO2 absorption in the infrared region of the spectrum is weak on a per-molecule basis, and CO2 is a minor component of the atmosphere, with a current concentration of 380 ppm (only 380 molecules out of 1 million molecules in air are CO2). Any person, particularly a skeptical chemist, would expect that, with the nonstop emission of thermoradiation from Earth's surface, all CO2 molecules would soon be in the excited vibrational and rotational levels of their molecular energy states, and none would be left to absorb more outgoing energy. Hence, the greenhouse effect would be very limited. However, CO2 molecules do not exist alone in the atmosphere. The excited molecules can and do transfer their excess energy to other molecules and return to ground states and are therefore ready to absorb thermoradiation again. The transfer of the initially absorbed energy to other nonabsorbing molecules, called "quenching" in photochemistry, enables a relatively small amount of greenhouse gases such as CO2 to continuously absorb the thermoradiative energy, which otherwise would escape into space, and to convert the radiation back to thermal energy that stays on Earth. Therefore, the answer to D'Ambra's question is that an unlimited amount of infrared radiative energy can be absorbed and returned back to Earth by small quantities of atmospheric CO2 and other greenhouse gases. The greenhouse effect is continuous along with Earth's thermoradiation. After reading your editorials of June 22 (page 3) and July 27 (page 5) and the letters to you about the June 22 editorial, I am amazed. The level of illogical thinking and ignoring of obvious evidence in many of the letters is appalling to me. I expect such stuff in my local newspaper, the Seattle Times, but not from such a highly educated readership as yours. It makes me ashamed of my profession (chemistry). But then again, it just drives home to me that even educated people who are talking about something that is not in their area of training and/or expertise sometimes act in strange ways. I'm not sure why, but I suspect it has to do with their religious outlook, their political leanings, or their paranoid ideas regarding conspiracies. Your editorials were right on the mark. They contain some of the most concise and pointed discussions of climate change I have seen. . . .
Ouch! I think you got a taste of what it has been like teaching environmental chemistry in Utah. UPDATE: MT asks why me? Eli points out that he quoted a major part of this proposed statement which asks the members to actively participate in professional education and discussion activities so as to be technically well informed about the latest advances in climate science and to engage in public education activities in the community, including at the local level. The scientific community has stood firm with climate science throughout, but this fact has had very limited recognition. The preponderance of evidence that CO2 accumulation must be not just slowed but essentially halted becomes more inescapable every year. Yet many people believe exactly the reverse, largely under the influence of organized PR efforts intended to obscure the evidence. Scientists have constraints on the time they have to devote to public communication and the ways in which they are expected to communicate. At present the most effective communication seems to come from a few climate bloggers, some anonymous, or from amateurs like Greg Craven or Peter Sinclair. These efforts only arose to fill a gaping vaccuum in professional communication. However we got to this state, it has to be reversed. You may connect the dots. The Geological Society of America concurs with key elements of recent assessments by the National Academies and the Intergovernmental Panel on Climate Change (IPCC). Global climate has warmed by ~0.7 °C since the middle to late 1800s, and human activities (mainly greenhouse-gas emissions) account for most of the warming since the middle 1900s. If current trends continue, the projected increase in global temperature by the end of the twenty-first century will result in large negative impacts on humans and other life forms. Addressing the challenges posed by future anthropogenic warming will require a combination of national and international emissions reductions and adaptations to those changes that occur. • Actively participate in professional education and discussion activities so as to be technically well informed about the latest advances in climate science. GSA should encourage symposia at national and regional meetings to educate members on mainstream understanding among geoscientists and climate scientists of the causes and future effects of global warming within the broader context of natural variability. These symposia should seek to actively engage members in hosted discussions that clarify issues, possibly utilizing educational formats other than the traditional presentation and Q&A session. • Engage in public education activities in the community, including at the local level. Public education is a critical element of a proactive response to the challenges presented by global climate change. GSA members are encouraged to take an active part in outreach activities to educate the public at all levels (local, regional, and national) about the science of global warming and the importance of geological research in framing policy development. Such activities can include organizing and participating in community school activities; leading discussion groups in churches or other civic organizations; meeting with local and state community leaders and congressional staffs; participating in GSA’s Congressional Visits Day; writing opinion pieces and letters to the editor for local and regional newspapers; contributing to online forums; and volunteering for organizations that support efforts to effectively mitigate and adapt to global climate change. carbon energies and energy efficiencies. • Work interactively with other science and policy societies to help inform the public and ensure that policymakers have access to scientifically reliable information. GSA should actively engage and collaborate with other earth-science organizations in recommending and formulating national and international strategies to address impending impacts of anthropogenic climate change. They solicit comments from members, and the word is out in denialsville, so if you are a member, go over there and put in your two cents, or whatever the dues are. You would think that Michael Tobis had written the thing, but among the names Eli knows, Warren William Ruddimann (ear tip to JMashey) and Judith Lean are on the drafting committee.....Michael???? "Without participation from China and India, anything we do here at home would impose burdensome costs on consumers in the form of higher electricity, gas and food prices, all for no climate gain," said Oklahoma Senator James Inhofe, the top Republican on the panel drafting the Senate's version of the bill. "Unless supporters of cap-and-trade legislation can develop a plan to convince China and India to make meaningful emissions reductions on par with the United States, no such bill will pass the U.S. Senate," he said. India has approved in principle new trading plans centered on energy efficiency as part of efforts to shift to a greener economy to fight climate change, opening up a potential market worth more than $15 billion by 2015. Energy efficiency is a key focus in India's national climate change policy, unveiled last year and which lays out a roadmap to a green economy but doesn't fix a target for carbon emissions. 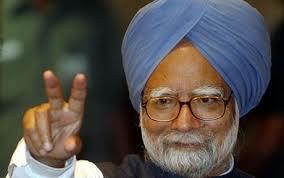 Officials said Prime Minister Manmohan Singh on Monday approved in principle the national energy efficiency plan, which puts in place new financial architecture chiefly centering around trading of efficiency certificates and the carbon market. Remember young coneys, you read it on Rabett Run before it happened. Back at the beginning of time, well, to be honest Rabett Run, but did anything exist before, Eli had two excellent rants (Rant I and Rant II) about textbook prices and the machinations of the publishers. With the new term, the new students, and the new higher prices, it is time to revisit the problem. 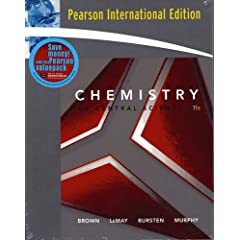 As you may have noticed in the US when your kid goes to college, the price of General Chemistry textbooks new is threatening the $200 barrier. ELI WANTS HIS STUDENT TO KEEP THEIR BOOKS. You may take the sunglasses off now. Books on the shelf are a good trusted source of basic information. Having a small library is necessary for any educated person and one's college textbooks provide a wonderful basis. A house without books is a wasteland. But, dear bunnies, let us look at this from the standpoint of the publisher. The current strategy is to make a maximum profit on each book. Since the people who order the books, the professors, don't buy it (see Rants), their is no restraint on prices. Contrast this with the K-12 market where the schools buy the textbooks. In that case the cost is pushed down to the limit. On the other hand, in markets where students are free to buy their own books, the price is much lower. For example, the International paperback edition (you can only get the hardcover in the US) costs ~$80 list and you can get it discounted. That means that by selling the paperback in the US Pearson could kill the used book market and double their volume, not have the expense of putting out a new edition every three years or so, and very probably make more money and the students would, even on net, pay less and might keep their books. At RSU, we have tried to approach this problem by contracting for a special edition which only includes the chapters we use and costs ~2/3 of the full edition. General Chemistry books are kitchen sinks, with every possible chapter because the absence of material near and dear to some professor could kill a sale. This also means that you need to lift weights to carry the thing to class (OK, it weighs 2.75 kg, but no one is going to carry it around). The resale value is not as high, but neither was the cost. We also had it bundled with a cut down lab manual (only the experiments that we do). We wish we could order the international edition for our students but it cannot legally be imported. The bunnies were buzzing when they found out that they could get their degrees by Email rather than slaving in Rabett Labs. Over the weekend a scandal broke in Germany involving lots of faculty at lots of places who took money to take graduate students who went on to become Doktor Ret. Nat. This bites particularly over there because, while in most of the world, we Ph.D.s are entitled to all the rights and privileges belonging to the position, it doesn't even get you to the head of the food stamp line, in Germany there are some goodies. As with everything in life, there were Doktor coaches who took the money and found the place and persons who would "help" along. The universities include some excellent places: Frankfurt, Tübingen, Leipzig, Rostock, Jena, Bayreuth, Ingolstadt, Hamburg, Hannover, Bielefeld, Hagen, Köln and the Freie Universität Berlin It looks like there were a minimum of 100 "helpers" in the universities, although most appear to be lower level, private dozents and adjunct (no cost) professors, who are allowed to teach courses and act as thesis advisors. According to the law governing universities, the misuse of an academic title can be sanctioned by fines up to a half a million Euros. Any Professors that allow a degree to be awarded for money or even makes it easier, can lose their civil service status (and pension -ER) and their position as university professor; a private dozent can lose their teaching license and position according to Pinkwart. **There are positions in the US places where bought degrees have value, such as HS teachers where extra degrees bring extra $$ and yes, we have had our scandels. Eli has been pointing out that India is in no position to oppose a climate change treaty as their country is the one most at immediate risk outside of a few South Pacific Islands. As the Himalayan glaciers melt, the drinking water supply for close to a billion people disappears, a point made to some derision by Al Gore, but repeated complete with footnotes in the WGII report of the IPCC. Gore was careful to say drinking water and he said within the next half century. The IPCC said maybe by 2035, which is only 25 years from now. We don’t know the absolute volume of water in the Northern Indian aquifers, but GRACE provides strong evidence that current rates of water extraction are not sustainable," said Rodell. "The region has become dependent on irrigation to maximize agricultural productivity, so we could be looking at more than a water crisis." There have been interesting developments in the big smoke. To start with something old, Gunnar Myhre has narrowed the uncertainty for directs aerosol forcing from -0.9 to -0.1 W/m2 to -0.3 + 0.2 W/m2. This means that not only is the negative direct aerosol forcing less than previously thought but that the range is much smaller. In the Intergovernmental Panel on Climate Change Fourth AssessmentReport, the direct aerosol effect is reported to have a radiative forcing estimate of –0.5 Watt per square meter (W m–2), offsetting the warming from CO2 by almost one-third. The uncertainty,however, ranges from –0.9 to –0.1 W m–2, which is largely due to differences between estimates from global aerosol models and observation-based estimates, with the latter tending to have stronger (more negative) radiative forcing. This study demonstrates consistency between a global aerosol model and adjustment to an observation-based method, producing a global and annual mean radiative forcing that is weaker than –0.5 W m–2, with a best estimate of –0.3 W m–2. The physical explanation for the earlier discrepancy is that the relative increase in anthropogenic black carbon(absorbing aerosols) is much larger than the overall increase in the anthropogenic abundance of aerosols. Myhre compares results from observation based estimates of aerosol optical depth and those derived from modeling. The observation based estimates start with measured aerosol optical depth (AOD) or radiative emission. Estimates are made of the human contribution to the scattering. In the second approach aerosol models are used to estimate how humans have changed the amount and type of aerosol with radiative transfer models that calculate the forcing. Previously there was a significant difference between the two. A key assumption for the observational models has been that the nature of pre-industrial aerosols was the same as today but the amount has simply increased. Myhre observes that the black carbon component has grown roughly twice as fast as the other anthropogenic aerosols. When the observational models are corrected for this, they come into agreement with the model based estimates. The much stronger increase in the anthropogenic fraction of absorption AOD than total AOD will to some extent be model-dependent but will be robust because of the much stronger growth in the BC emissions than the growth in the rest of the aerosols and their precursors. This suggests that the global annual average single scattering albedo of the aerosols has been reduced because of human activity. 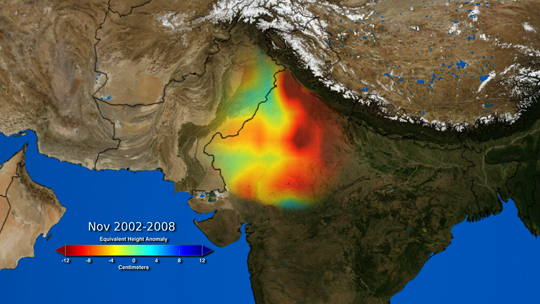 The global mean annual average single scattering albedo computed in the model for all aerosols at 5 µm is 0.986 at preindustrial conditions and 0.970 at present-day conditions. Thus, aerosol in present times is approximately twice as absorbing as that in preindustrial conditions. The net effect would be to slightly lower the estimated greenhouse gas forcing since a higher aerosol forcing would have to be counteracted by a larger CO2 forcing. Watch the bounding ball. This is the finding that led Lindzen’s team to propose that the Earth has an adaptive infrared iris—a built in “check-and-balance” mechanism that effectively counters global warming (Lindzen et al. 2001). Much like the iris in a human eye contracts to allow less light to pass through the pupil in a brightly lit environment, Lindzen suggests that the area covered by high cirrus clouds contracts to allow more heat to escape into outer space from a very warm environment. That is, Lin found that clouds in the tropics do change in response to warmer sea surface temperatures, but that the cloud changes serve to slightly enhance warming at the surface. Specifically, whereas Lindzen’s experiment predicts that cirrus clouds change in extent to reduce warming at the surface by anywhere from 0.45 to 1.1 degrees, Lin’s experiment predicts that changes in the tropical clouds will help warm the surface by anywhere from 0.05 to 0.1 degree (Lin et al. 2001). In the 24 July issue of Science, Clement, Burgman and Norris report a positive feedback in the NE Pacific. Feedbacks involving low-level clouds remain a primary cause of uncertainty in global climate model projections. This issue was addressed by examining changes in low-level clouds over the Northeast Pacific in observations and climate models. Decadal fluctuations were identified in multiple, independent cloud data sets, and changes in cloud cover appeared to be linked to changes in both local temperature structure and large-scale circulation. This observational analysis further indicated that clouds act as a positive feedback in this region on decadal time scales. The observed relationships between cloud cover and regional meteorological conditions provide a more complete way of testing the realism of the cloud simulation in current-generation climate models. The only model that passed this test simulated a reduction in cloud cover over much of the Pacific when greenhouse gases were increased, providing modeling evidence for a positive low-level cloud feedback. When the results were in, only two models showed low clouds producing a positive feedback as observed. One of them stood out from the pack. The HadGEM1 model from the U.K. Met Office's Hadley Center in Exeter produced patterns of warming and circulation changes during greenhouse warming that resembled those of all 18 models averaged together—the best guide available. The group also concluded that HadGEM1's simulation of meteorological processes in the lowermost kilometer or two of the atmosphere—where the key low-lying clouds reside—is particularly realistic. As it happens, the HadGEM1 model is among the most sensitive of the 18 models to added greenhouse gases. When carbon dioxide is doubled, the model warms the world by 4.4°C; the median of the models for a doubling is 3.1°C. 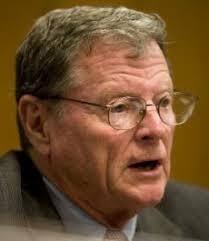 Eli took some heat from Fergus Brown about calling the sea route over the top of Russia the Northeast Passage. The Old Man has not posted since January, hope he is well. Anyone have news? Eli has been at conferences. At the next to last one he met an old friend who had recently retired from teaching, but is staying on for research. In his words "The day after I retired, I sat quietly in my office and gave thanks that none of my students or associates had ever been seriously hurt in my lab." Female Science Professor comments on an assault in a lab that took place at night. It is dangerous to work in a locked lab alone because no one can see if you are lying on the floor gasping for breath, bleeding out or high as a kite on various organic molecules, and even if they could, they would have trouble getting in. This exposes you to assault and battery and worse. Locked buildings are no panacea either as the comments show. Someone mentioned that every lab should have a panic button, but the problem with alarms and panic buttons is that many times no one responds to the alarm. Respect for campus security is not high. One place where this issue is no issue is government weapons labs. They log you in and out. You HAVE to log in if you are there late. If you don't you are liable to meet the local SWAT team. If you do, they check on you every hour or so. There is no chance that anyone will get in late at night without showing up on a sniperscope. Most departments discuss this issue in the famous make sure that no one is recording what we say room. It is a real worry. Something like a panic button that really worked would be a great idea. And then Eli remembered that Mom Rabett, when she was living at home had an emergency response system, a panic button that she wore around her neck (when she remembered, Mom was a very active bunny with a lot to do), and which, when pushed would bring a response from the monitoring system operator. Werner Aeschbach-Hertig noted that Chilingar and Assoc. have committed self-plagiarism again, their twin papers, having gotten a triplet. He figures he ain't gonna get no satisfaction from the editors of various journals of last resort. What to do, what to do? Fax number is (202) 872-8727. Description: Understanding the Earth’s climate and its ecological system requires knowledge that spans across an extremely diverse range of expertise in which no single person or organization can master or capture. Synthesizing the myriad of complex inter-relationships that comprise the Earth’s climate system requires an integrated assessment of the vast array of disciplines that affect and, in turn, are affected by, the Earth’s climate. Thus, our proposed session is open to all scientists who are interested in such a master synthesis. Invited speakers will discuss emerging progress in the key areas of atmospheric processes, oceanography, hydrologic variation, paleoclimatic research, biological processes, geological sciences, mathematical and computational sciences, and solar variability. The ultimate goal of this session is to contribute to the scientific discussion for the upcoming UN IPCC’s fifth assessment report which is due 2014. We plan to publish new results from this session. Description: Solar variability and its climate change significance are to be explored. We invite papers relevant to solar variability and its effect on climate on all time scales including theoretical and empirical papers dealing with: 1) total solar irradiance observations and proxy reconstructions, solar magnetic activity, solar cosmic ray modulation and solar activity forecasts; 2) solar variation effects on global and local temperature cycles and trends, cloud cover, precipitations, droughts, floods, monsoons and stream flow. Essentially everyone has battery operated devices that they charge using battery cheaters. How about a small, inefficient solar cell pack or tiny windmill that you could hang out the window to charge them. It does not have to be efficient because the sun/wind are free and in most cases time is not an issue. You might even be able to cook something up that runs off the temperature difference between your attic and basement. Such things probably do exist. A market where they have established themselves is solar cell powered calculators (Eli's is about 20 years old).